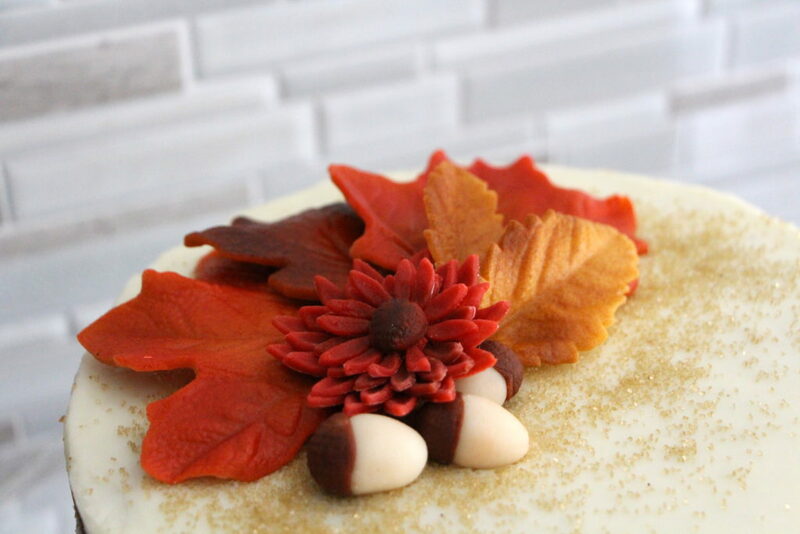 I love it when I’m empowered to “get creative” with it — in this case, to make a Friendsgiving cake with fall-like decor. 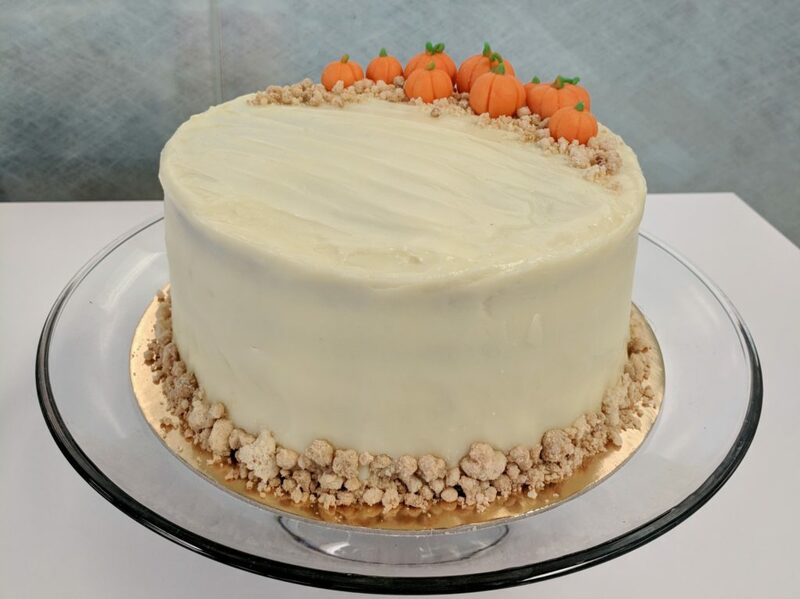 I reprised the pumpkin cream cheese cake, but this time made a naked cake version with marzipan leaves, acorns and flower. I meant to take a before and after photo of the marzipan decorations before I airbrushed them, but was so focused on setting up all the airbrush parts that I forgot. Luckily the back of the leaf reveals the starting color, and the front shows the added dimension a couple layers of color can add. This was lots of fun to create! Happy Halloween! New job, new office, new house, new baby. It’s been a busy year, but as we adjust to all the changes, I’m hopeful to begin blogging again, both to catch up on some memorable events of the past year and to get back into the swing of things in the kitchen. 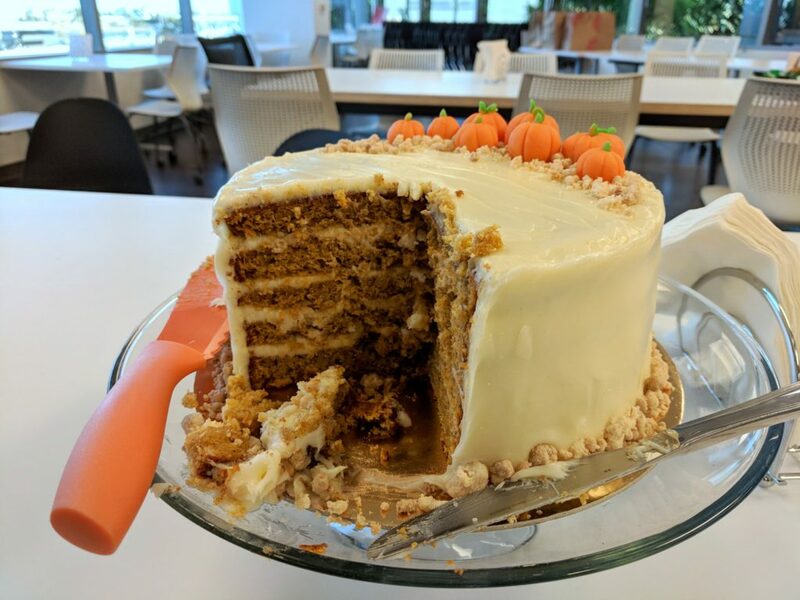 During a couple sleepless nights, I put together this pumpkin spice cake with cream cheese frosting and pie crust crumbs for the office. 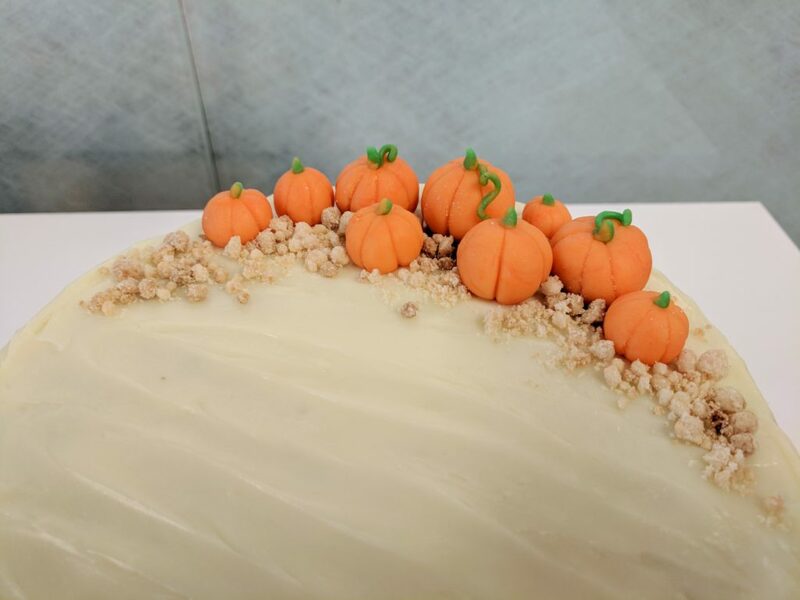 For those familiar with Martha Stewart’s Cupcakes, you’ll recognize the inspiration for this cake from her Pumpkin Cupcakes (recipe posted online: https://www.marthastewart.com/317069/pumpkin-cupcakes). 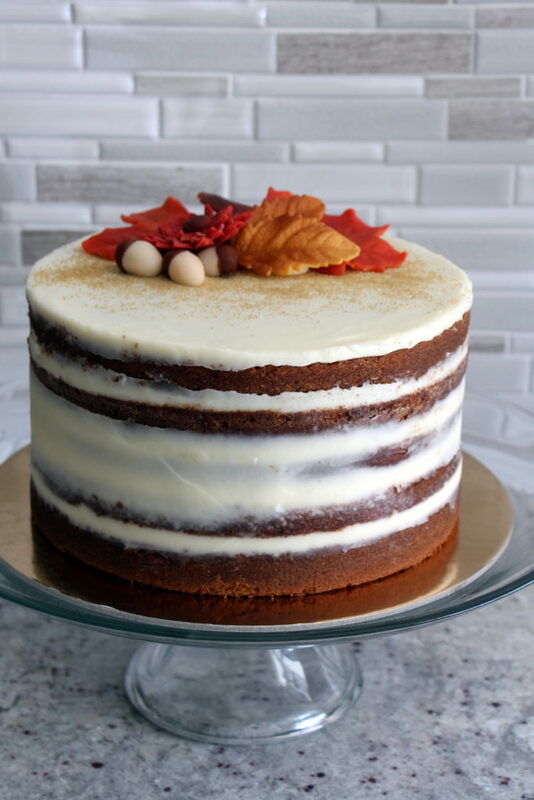 Instead of making cupcakes, I made an 8″ layer cake, substituting with my preferred cream cheese frosting recipe. In addition to using the frosting for the filling, I also sprinkled each layer with pie crust crumbs (inspiration from Momofuku Milk Bar), with additional crumbs for decor. 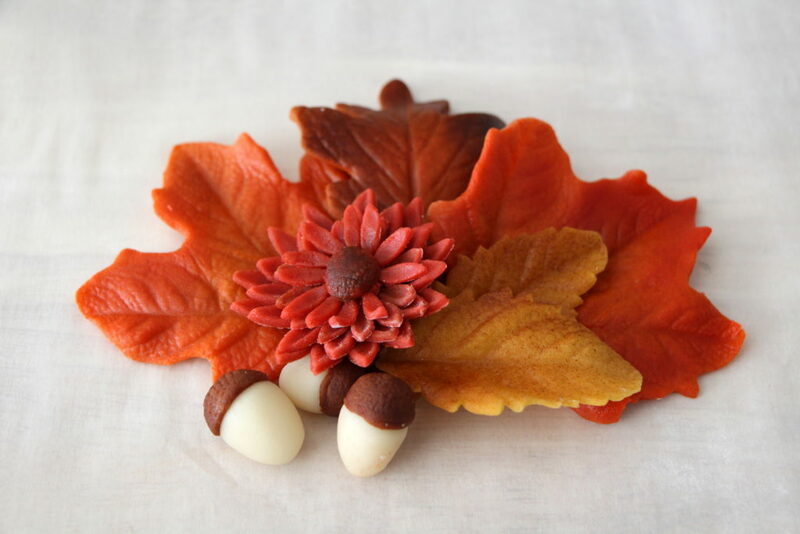 And finally, a mix of marzipan pumpkins which are always pleasantly quick to make and oh-so-charming. That’s the extent of our Halloween celebration this year. Time to put the baby to bed! 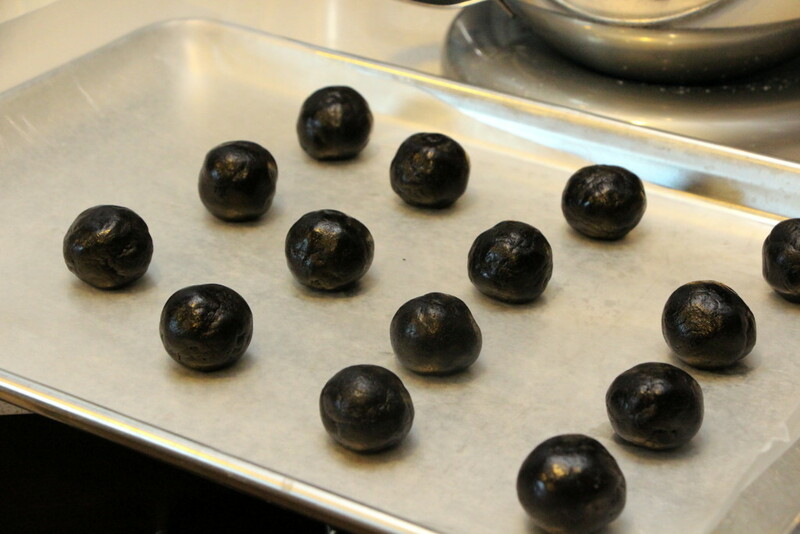 Oreo truffle balls — yup, they’re exactly what they sound like, and they’re awesome. 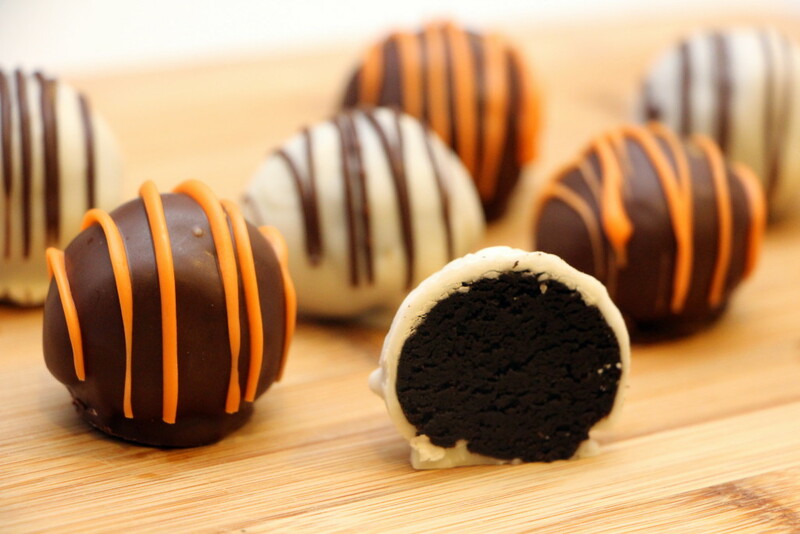 Think cake balls, made with Oreos. With literally three ingredients, these are also quite simple to make. Grind up Oreos, add a little bit of cream cheese to bind the crumbs together, form balls, chill, and then dip in candy coating (or chocolate). Et voilà! Ground up one package of Oreos in a food processor. Add chilled and cubed cream cheese into the food processor. Pulse about a dozen times or until it comes together. Do not process more than needed, as the mixture will become greasy. 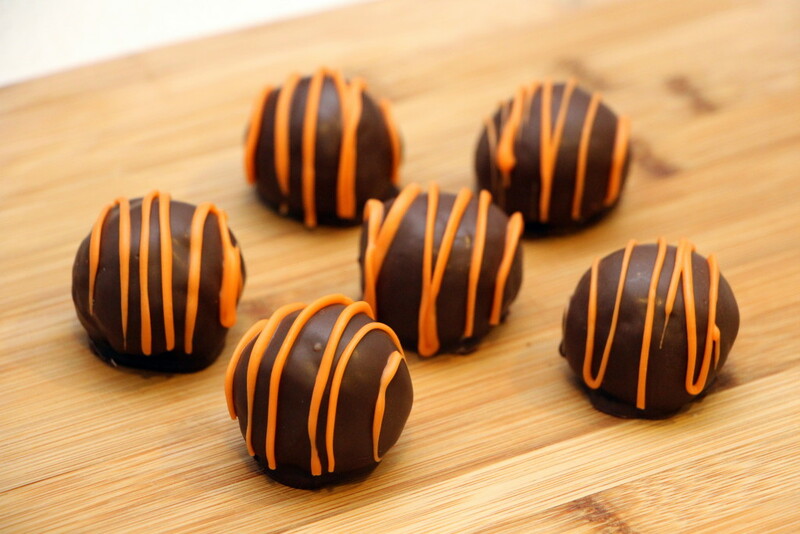 Portion with a cookie scoop, spoon, or just your hands, and roll into balls. I recommend wearing gloves. 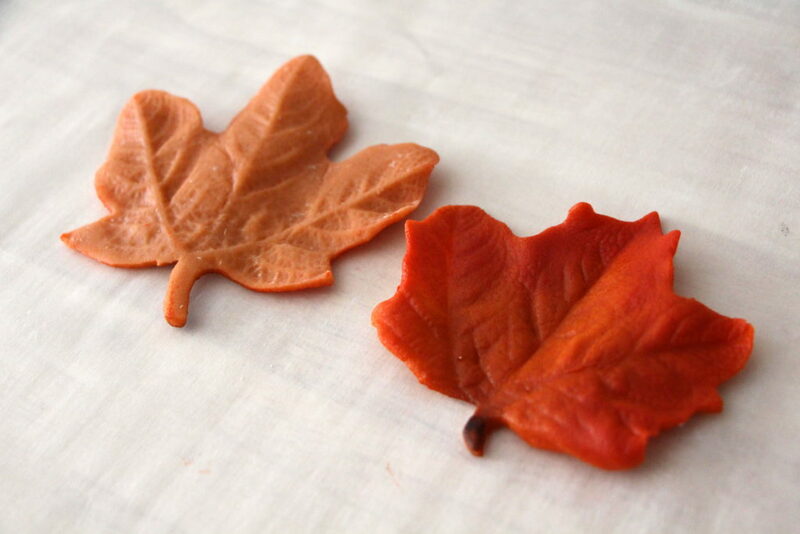 A cake pop mold press would also work. Chill on a wax paper lined sheet pan for at least 10 minutes. Melt candy wafers and thin out if necessary, or melt and temper chocolate. Remove balls from fridge. 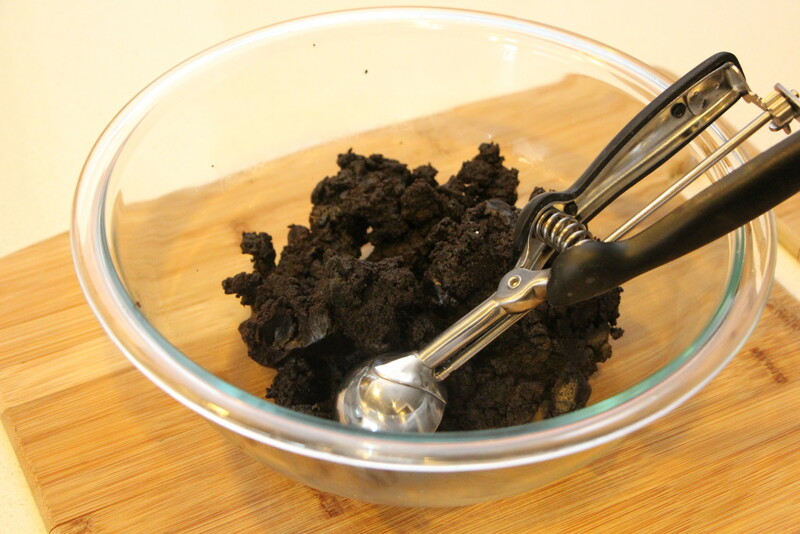 Submerge truffle balls in bowl of candy coating or chocolate using dipping forks (or if you don’t have one, use a plastic fork with the middle tine(s) snapped off). Shake off excess coating and place ball on wax paper to set. Try not to eat them all before sharing with others.